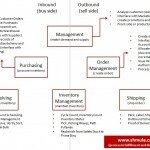 As many of you know, shmula.com allows guest bloggers to submit articles in areas of manufacturing, operations research, technology, customer experience, lean manufacturing, leadership, and innovation. In that spirit, we have a guest post today from a 3D Printing expert – an area of intense interest. He shares with us 3D Printing Companies to watch. Our guest post today is Jeff Dwight, a veteran in the printer manufacturing space. His current interest is in the world of 3D Printing and introduces us to 7 3D printing companies we should watch in the 3D Printing Industry. 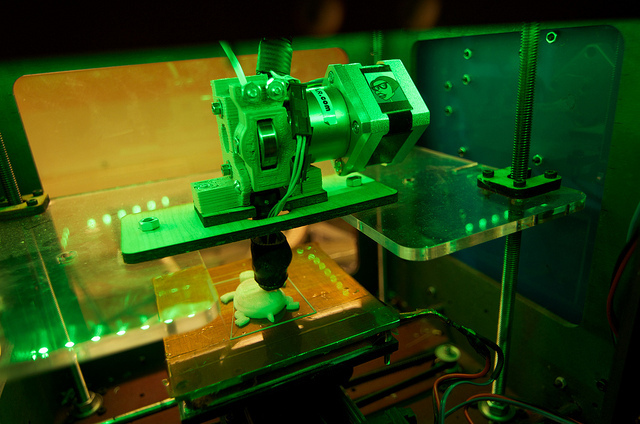 3D Printing holds the potential to change the entire face of manufacturing. Imagine a freight ship that can leave port loaded with raw material and arrive at its destination with a full cargo of finished parts, or a single 3D printer that can be taken to the moon only to replicate itself 100 times to produce a massive manufacturing infrastructure, and you will have some idea of the vast implications of this exciting new technology. Though still in its infancy, the so-called additive manufacturing industry is already making headway in some astounding new directions. Here’s a look at 7 companies that are using 3D printing technology to accomplish what has never before been possible. What Warehouse Metrics do you have in place to help you determine if your processes are going well or not. 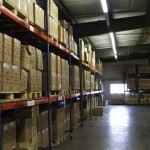 You warehouse location is optimal in the first place to meet service level commitments. 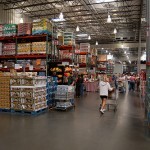 These together will help you reduce costs in your warehouse. Organovo specializes in Bioprinting, an innovative new technique of constructing complex organic tissue structures from stem cells with 3D printing technology. They are primarily known for creating the world’s first (and only) bioprinter, the 3D NovoGen MMX, which is in high demand amongst academic and research institutions worldwide. Only in business since 2009, the company has already been able to produce heart patches, blood vessels, and skin tissue. But Organovo hopes to be able to create entire replacement organs within a few years time. If they succeed, they will not only create a multi-billion dollar industry, they will also change the entire future of medicine and extend countless lives. Bespoke was started in 2010 as an inspiring solution for resolving the discrepancy between mass produced prosthetic limbs and the individual needs of those who receive them. Founded by an industrial designer and orthopedic surgeon, Bespoke designs unique casings for prosthetic limbs that are built to the specifications of the individuals who will wear them and are tailored to satisfy both aesthetic concerns and lifestyle needs. 3D printing allows these “fairings,” as Bespoke calls them, to be affordable, lightweight, and versatile. They are turning prosthesis into artwork, and giving hope and confidence to thousands. Stratasys is the main force behind 3D printing’s thrust into the industrial manufacturing industry. In 2008, they became the first 3D printing company to attain ISO certification, which is a major step forward for companies specializing in precision manufacturing. Stratasys sells a range of high-end 3D printing machines of various models and sizes throughout the world, has been an industry leader in the development of 3D printing since 1988, and continues to grow. It is also worth mentioning that their stock is currently around $60 per share, and is on the rise. 3D Systems is one of the oldest and most important companies in the additive manufacturing industry. In 1986, they were responsible for the world’s first stereolithography rapid prototyping machine. Since that time, they have continued to extend the capabilities of 3D printing, and now have a whole line of devices available, ranging from personal desktop printers to massive industrial systems. The company continues to expand, is quite healthy––reporting over $80m in second quarter revenues last year – and is committed to its mission to “democratize access” to 3D printing. MakerBot, a New York based company founded in 2009, sells a basic 3D Printing machine called a Replicator. Available to ordinary consumers for the relatively inexpensive price of about $2000, it can build thousands of objects, the designs codes for which are catalogued in a constantly expanding open-source online database. When released earlier this year, The Replicator became MakerBot’s third generation 3D printer: the previous two being the Cupcake CNC (2009) and the Thing-O-Matic (2010). Though MakerBot predominantly markets their machines as educational implements for tech-enthusiastic children, the machines have a wide range of applications and provide a myriad of opportunities for low-cost design and homemade production. Founder: Assa Ashuach, Dr Siavash Mahdavi, Nicolas de Cordes and Lisa Harouni. Digital Forming is a business whose main concern is consumer-based innovation. Founded in 2008, they were catapulted to success in 2009 after receiving an Innovation Grant from the UK government. They work closely with outside manufacturers to establish the apparatus necessary for allowing companies to––paradoxically enough––mass-produce products that are individually tailored to each consumer. They make this possible by utilizing the flexibility and versatility of 3D printing, allowing customers in the public sphere to manipulate and customize their items before they are manufactured. 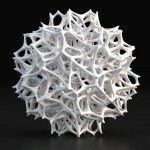 Within is a design company specializing in pushing the boundaries of additive layer manufacturing. Their particular focus is on the abilities of 3D printing technology to allow for products that mirror the lattice structures found in biological growth. They can develop objects with variant flexibility, heat conductivity, density, and load-bearing capabilities using a single contiguous material, in the same way that human bones contain these same features––something that is not possible using traditional subtractive manufacturing means. Within has only been in business for six years, but can already boast an incredible array of revolutionary products, which it continues to improve upon. The possibilities for the future of 3D printing are nearly endless, and as this manufacturing technology continues to become more versatile and efficient, it will entail far-reaching implications for the way things are designed and built in modern societies. These companies, who are amongst the first to explore this technology’s potential, are quite literally reshaping the world one object at a time. Jeff Dwight is a print technology expert and writer at PrinterInks; the online shop for ink cartridges by Brother, Dell, Samsung, HP and other leading leading brands.